In the American lexicon, saying somethingâ€™s from ChinaÂ­town is often a way of saying itâ€™s unregulatedâ€”Â­under the table, cash only, cheap. Thatâ€™s not necessarily pejorative: Urbanites have affection for their gray markets, their half-Â­dangerous underbellies, all the strange vegetables they donâ€™t know how to cook. Seeking out relatively unfamiliar worlds is a hallmark of the city dweller, and not just as amateur anthropology. Itâ€™s inspiring to see relentless effort at work in unglamorous placesâ€”watching, say, someone buy a cheap van, pull it up to a curb on the Bowery, and end up ten years later as a bus-line mogul. So in one sense the rise of the Chinatown bus services is a heartening phenomenon: an innovative little-guy response to the price of Amtrak and Greyhound. For many non-Â­Chinese, their exoticism is a draw, tooâ€”low-cost travel is a great equalizer, one of the few places left to see the whole swath of a cityâ€™s income levels. But when two of these buses crashed last week, one crash killing fifteen, it was a tragic reminder that some of the products of our Chinatowns still come with great risks. You canâ€™t enjoy the freewheeling benefits of a developing-world atmosphere and simultaneously rely on developed-world protections. Ophadell Williams, the driver of the bus that crashed in the Bronx, had his license suspended after two violations in 1995 and had served time for manslaughter, though his commercial license was legal. 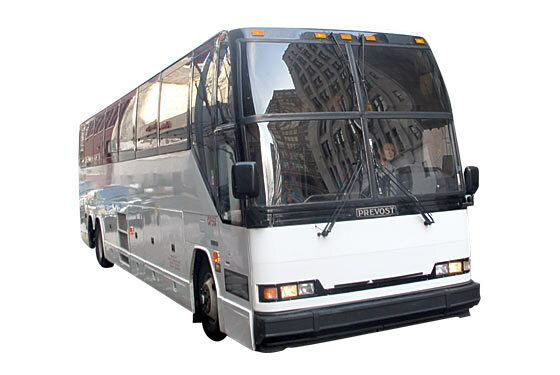 Super Luxury Tours, which operated the bus that crashed on its way to Philadelphia, was in the lowest percentile of coach-Â­service safety rankings. (It was a bad week for trusting government supervisors. Who wouldâ€™ve pegged sleek, bullet-train Japan as the country most likely to have trouble taming its nuclear technology?) This isnâ€™t just something that can be laid at the feet of unscrupulous business owners and lax regulation, though. Weâ€™re the ones actively choosing to patronize buses that are cheaper because they employ nonunionized drivers who drive more shifts than they should. Still, we assume that such a choice wonâ€™t get us in trouble. Our First World brains assure us that anything authorities allow us to do, no matter how precarious it might seem, is okayâ€”consider flying from one of Americaâ€™s run-down airports or taking the grimy New York subway, two activities that are generally pretty safe. But we also actively seek out dicey situations because we feel soft. We like accumulating war stories (one I tell is about a capricious ChinatownÂ­-bus driver who abandoned two young women at a Maryland rest stop). We want to run right up to the edge of the cliff, but we assume that someone has been there before us to build a guardrail. Itâ€™s a hard urge to eradicate. In fact, one survivor of the Bronx crash, after leaving the hospital in his gown and bloody socks, got right back on another cut-rate bus to Mohegan Sun, making for great tabloid material. That particular rider seemed motivated less by an abstract desire to experience danger than by an intense interest in video poker. But weâ€™re all gamblers here.